The holiday battle wages on. ABC has renewed The Great Christmas Light Fight for a third season. The six episodes will air in December 2015. The Christmas combat continues! ABC has announced the series renewal from FremantleMedia North America. “The Great Christmas Light Fight” will be returning for a third installment of six episodes next holiday season, where the displays will continue to dazzle, and families from across the country will compete for prize money, a trophy, and bragging rights. “The Great Christmas Light Fight” first debuted on ABC in December 2013 and continued in 2014, increasing the field from 20 to 24 participating families. The families were chosen through an extensive nationwide search, based on their previous elaborate Christmas light displays, incredible choreography and over-the-top designs. On its second season premiere (on 12/08/14), “The Great Christmas Light Fight” jumped year to year by 24% in Total Viewers (6.8 million vs. 5.5 million) and by 21% in Adults 18-49 (1.7/5 vs. 1.4/4) for the program’s best numbers ever. The ABC unscripted program has been up year to year on both telecasts this season. Casting is already underway for season 3 of “The Great Christmas Light Fight,” please go to ABC.com for more information on how to apply to be entered in the competition. “The Great Christmas Light Fight” comes from FremantleMedia North America (“American Idol,” “America’s Got Talent”). Executive Producers for the series are Brady Connell, Max Swedlow, Thom Beers and Jennifer Mullin. FremantleMedia North America (FMNA) is the U.S. arm of global media giant FremantleMedia, which includes a distribution arm, FremantleMedia International, a digital and branded entertainment division and a kids & family entertainment business. As one of the world’s largest and most successful creators, producers and distributors of TV brands in the world, FremantleMedia’s comprehensive global network has operations in 28 countries, creating over 8500 hours of programming a year, rolling out more than 60 formats and managing over 400 individual titles. The company also distributes more than 20,000 hours of content in over 200 territories. FMNA and its portfolio of companies, including Original Productions and 495 Productions, produce entertaining and innovative scripted and alternative programs for network, cable, syndicated and online platforms. Their slate includes a diverse range of both critically-acclaimed and award-winning successes including American Idol (FOX), America’s Got Talent (NBC), Family Feud (SYN), Let’s Make A Deal (CBS), The Price Is Right (CBS), The Great Christmas Light Fight (ABC), Deadliest Catch (Discovery), Married to Medicine (Bravo), Party Down South (CMT), Ice Road Truckers (HISTORY), Storage Wars (A&E), The Returned (A&E) and Celebrity Name Game (SYN), among others. What do you think? Do you enjoy this holiday series? Do you think you’ll watch season three? 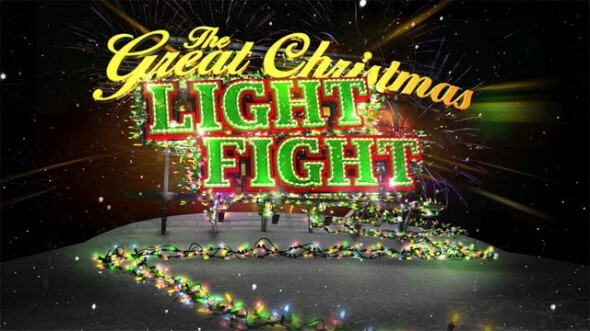 The Great Christmas Light Fight: Cancelled or Renewed for Season Six on ABC? The Great Christmas Light Fight: Already Renewed for Season Five for 2017? Love this series, hope it comes back for another year! I LOVE. This light show, was just ckg to make sure when it will be showing. We do not want to miss one second of it. Thank you! I want dates! Please post or email when the episodes will air. Fun show!!! I absolutely love the show. I have the decorating fever too, so I watch it to get some ideas. If had a bigger lot to decorate I would be dangerous and maybe end up on the show too. Keep up the great work. It is nice to have something fun on TV to watch. Can’t wait til you feature a house from MN. Absolutely love this show!! Can’t wait for 2015. Keep it going and don’t listen to the humbugs—there’s plenty else for them to watch. I love this show, will watch every year!! I love this show. I will watch every year!! Absolutely. Even if we never get to the level these people get to, we enjoy doing what we can and bringing holiday spirit to our neighborhood. What are the air dates? This show is the most ridiculous thing I have ever seen. What a bunch of lunatics.